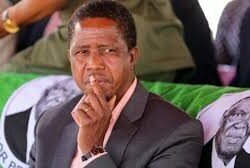 PRESIDENT Edgar Lungu yesterday arrived in Jeddah, the commercial city of the Kingdom of Saudi Arabia, at the invitation of King Salman bin Abdulaziz Al Saud for a two-day visit that would see Zambia explore prospects of sourcing cheaper crude oil. 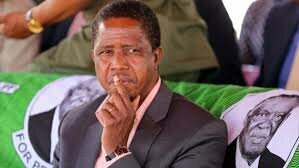 President Lungu landed at the King Abdullaziz International Airport aboard the Challenger, accompanied by his special assistant for press and public relations Amos Chanda, economic advisor Hibeene Mwiinga and other senior Government officials. He was welcomed by Prince Mishal Bin Majed Bin, the Mayor of Jeddah. President Lungu is today scheduled to meet King Salman bin Abdullaziz Al Saud at the royal court in Jeddah after inspecting the guard of honour and would thereafter hold bilateral talks with the custodian of the two holly mosques in the city. Also in Jeddah are Foreign Affairs minister Harry Kalaba, Energy and Water Development minister Dora Siliya, Commerce, Trade and Industry minister Margaret Mwanakatwe, Tourism minister Jean Kapata and Zambia’s ambassador to Saudi Arabia Ibrahim Mumba. President Lungu is tomorrow expected to visit Saudi manufacturing industries and meet the business community in one of the world’s largest producers of oil.